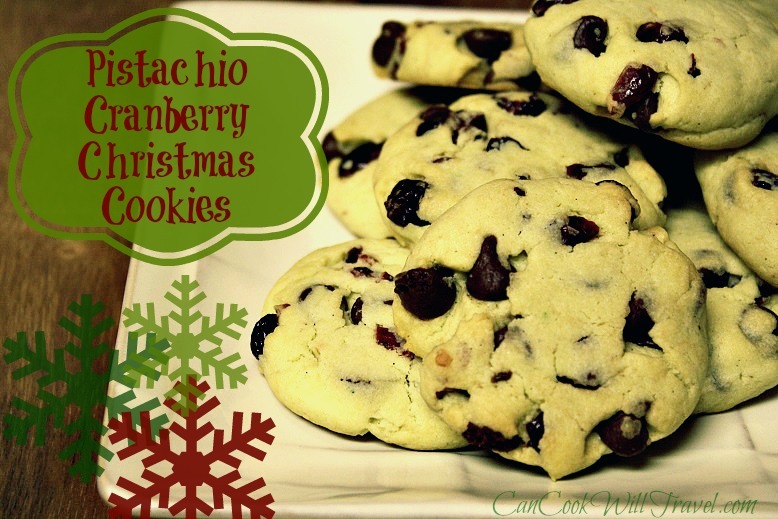 You are here: Home / Blog / My Kitchen / Weekly Crush: My Favorite Cranberry Recipes! 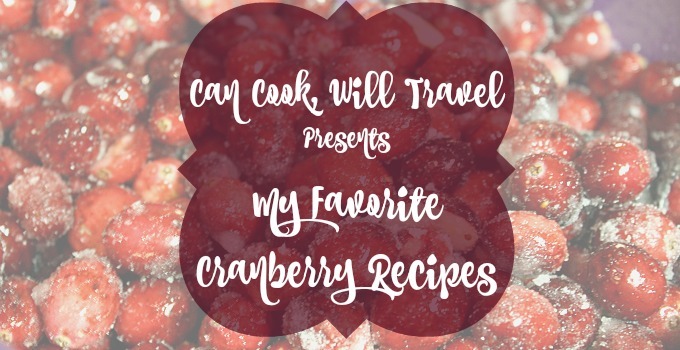 Weekly Crush: My Favorite Cranberry Recipes! Hello! I’m Kelli. I’m a Cranberry Addict. I’ve always loved cranberries. It’s probably because I do love a tart/sweet combo. Perhaps it’s a reflection of my personality. After all, I’m pretty sweet with a hint of tartness when you get to know me. So it won’t come as a surprise that I have several cranberry recipes on my blog over the past 5 years. And since this is the season for this tart fruit, I felt it important to share my favorite Cranberry Recipes. I tend to bake with fresh cranberries when I get the chance, or cooked cranberry sauce is another favorite dish of mine. Seriously, the cooked cranberry recipe on the Ocean Spray bag is my go-to quick & easy cranberry sauce for the holidays … or ANY day. I also love dried cranberries, because they are available all year long, although they do contain a lot of sugar. Salads just aren’t my thing. I eat them, somewhat against my will, because I know they’re a good way to eat my veggies. One thing I’ve done with my blog is my Learning to Love Salads series, and I’ve come across some AMAZING salads. 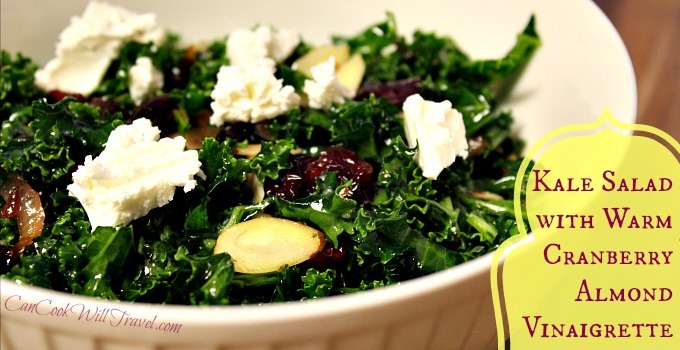 This Kale Salad is a perfect example! The kale is nice and tender, because you massage it for a couple of minutes, which takes away the slightly bitter flavor that kale can have. With a cranberry vinaigrette made from shallots, garlic, dried cranberries, lemon juice, and red wine vinegar, this salad sings. Top it with some almonds and goat cheese and you have a perfect salad! Soooooo good! 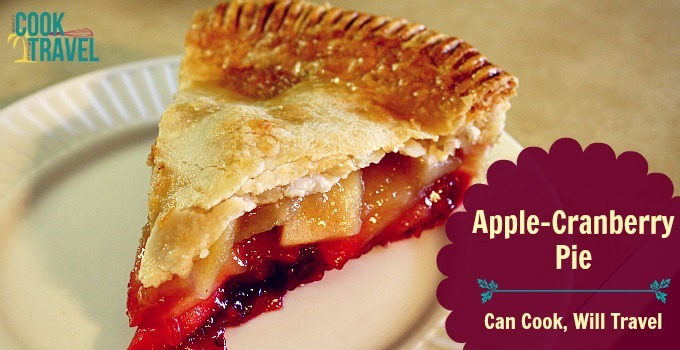 I LOVE this Apple-Cranberry Pie. So much! It’s a perfect combo of sweet and tart. You have the buttery pie crust with a layer of tart cranberry sauce that you make from fresh cranberries followed by a layer of cinnamon-y apples. It’s become a standard for Thanksgiving desserts ever since I made it, and I’m lobbying pretty hard with my family that this should also be a regular in our Christmas feasting as well. (It won’t take much arm twisting to make this happen!) Seriously … go make this ASAP – you can thank me later. Now if you have some leftover cranberry sauce on hand after a holiday get together, then look no further than this recipe for Cranberry Goat Cheese Kisses. It’s the perfect way to transform leftover sauce into something spectacular. You’ll just bake some puff pastry, cranberry sauce and a little goat cheese in the oven and end up with this magical treat that is divine. 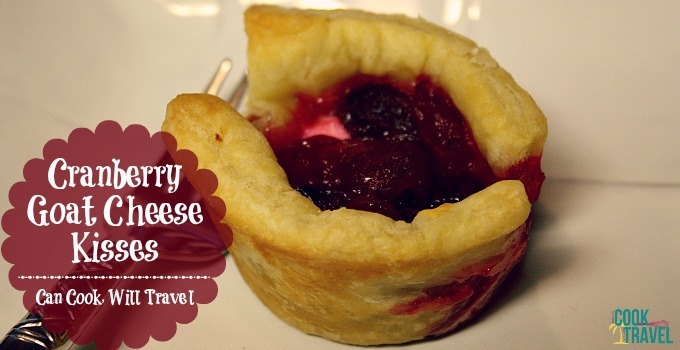 It has the buttery flavor from the pastry, tart from the cranberry sauce, and then is finished with a creamy goat cheese to make it sweet, tart, tangy, and rich in one bite. Love these!! I fondly say these Pistachio Cranberry Chocolate Chip Cookies are Christmas-a-fied chocolate chip cookies. The green comes from pistachio pudding in the cookie dough and red from the dried cranberries. Perfect for decorating a plate of sweet treats for gifting at Christmastime. And the flavors are fabulous! From the melty chocolate chips, tang of cranberries that balance the chocolate, and the pistachio pudding adds a nutty flavor (along with bits of pistachio nuts). It’s completely DELICIOUS!! I adore baking bread, especially when it’s a sweeter variety. And does anything go better with cranberries than oranges? Not much (except maybe goat cheese … but I am a bit biased there). This Cranberry Orange Bread isn’t super sweet. It uses fresh orange zest and juice along with fresh cranberries, so you certainly have a bit of tang. Then I added in some pecans, which are obviously optional but delicious. Okay I really might need to make this bread in the next week. Also bake it in mini loaf tins and it’s an adorable, edible gift for the holidays. 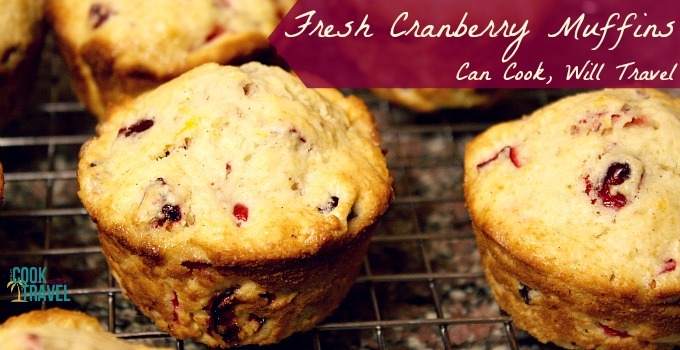 These Fresh Cranberry Muffins were one of my first cranberry-filled recipes on my blog. First off, I heart muffins. I think they’re adorable, lovely for portion control, and are delicious for breakfast and snacks. These muffins also feature some orange flavor in the form of orange zest. And they are totally addictive. It’s a bit difficult to stay out of them. You have the flaky muffin texture that we all love with tang of fresh cranberries and a hint of orange. Yum, yum, yum! 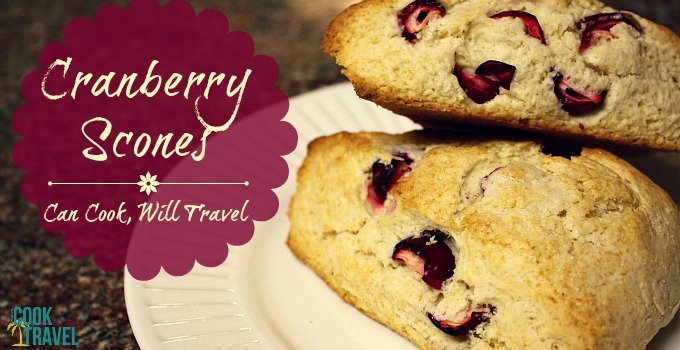 Last, but most certainly not least, are these amazing Cranberry Scones. I have grown to love scones (probably more than I should), and feature several scones recipes on the blog. Because can you ever have enough scone recipes? Um, no! Flaky, buttery, tart, and crusty … just a few adjectives to describe these melt-in-your-mouth scones. Holy scones, they are delicious!! Oh and they’re really easy to make, which is always a plus this time of year. 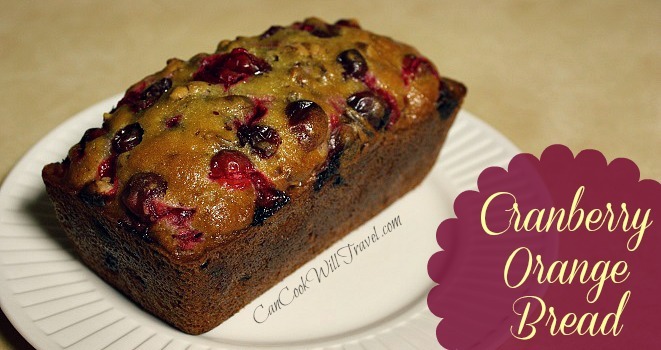 I hope you enjoyed this rundown of a few of my favorite cranberry recipes. Are you a big cranberry fanatic like me? I’d love to know. Comment below and let me know which of these recipes are going to be making an appearance in your kitchen this season! I can’t wait to hear what recipes you loved! Stay inspired & get your cranberry love on! Previous Post: « Motivation Monday: Be Unafraid to Be Yourself!